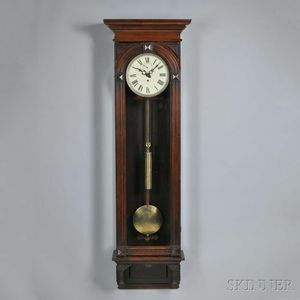 Waterbury Walnut Wall Regulator, Connecticut, c. 1900, walnut case with cornice and pedestal, full-length glazed door and side panels, 10-in. 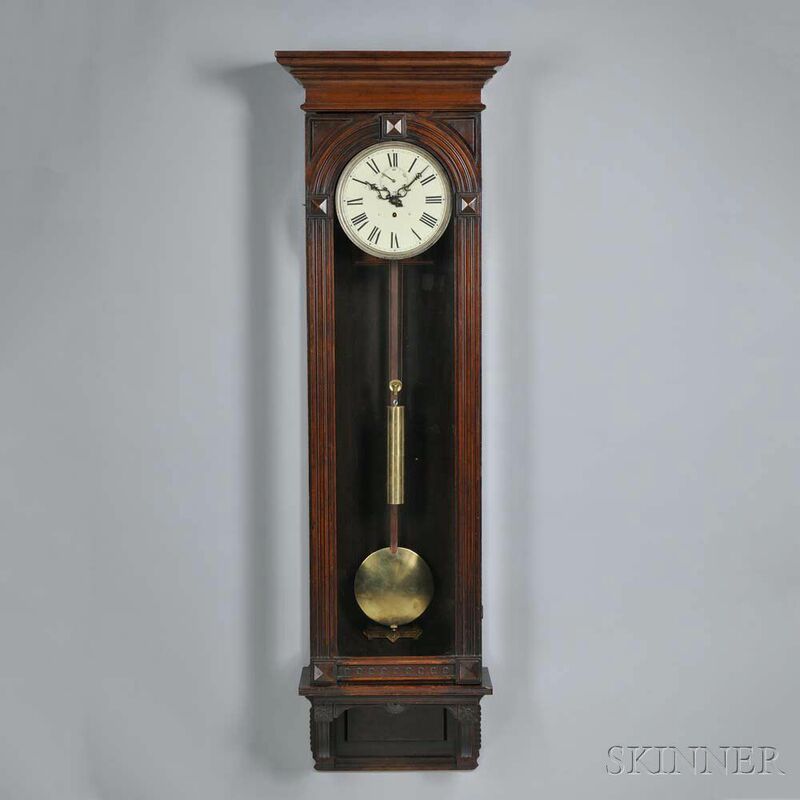 painted roman numeral dial with subsidiary seconds, brass beat scale, eight-day time-only movement with deadbeat escapement and maintaining-power marked Manufactured by Waterbury Clock Co., Waterbury, Conn. U.S.A., No. 120, powered by a brass-cased weight and regulated by a pendulum, ht. 68 in. Dial repainted. Cornice refinished. Lacking top ornament.